Dr. Yahdi Cotto grew up in the beautiful island of Puerto Rico. She speaks English and Spanish. She graduated with honors from the University of Puerto Rico-Medical Science Campus after completing a B.S. in Biology and a Masters in Epidemiology. She then graduated with honors from Life University as a Doctor of Chiropractic. 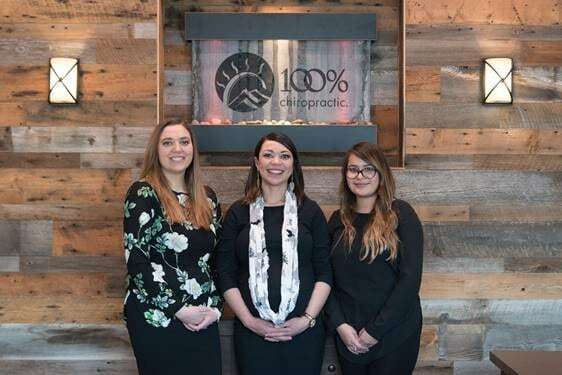 Dr. Yahdi takes care of her Aurora chiropractic patients as her own family and brings that connection to her community as well as to her practice members on a daily basis. She understands that the achievement of a healthy lifestyle begins since birth. 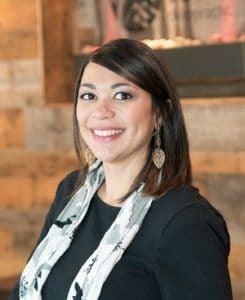 Following chiropractic school, Dr. Yahdi furthered her pediatric knowledge through the International Chiropractic Pediatrics Association (ICPA), completing her Webster’s Technique certification. She is part of this selected group of worldwide chiropractors with an expertise in pregnancy, pediatrics, nutrition, and corrective care. 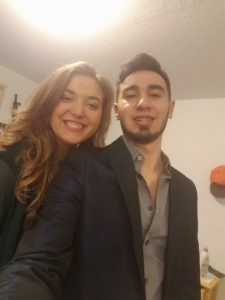 Dr. Yahdi lives in the beautiful city of Aurora, Colorado with her husband, who is a great supporter of chiropractic. Dr. Yahdi has had many academic and professional accomplishments, but the greatest one to date has been serving her community. Dr. Yahdi serves as an Aurora chiropractor with only the intention to give and touch as many families as possible. Aurora patients no longer need to suffer from chronic pain – At 100% Chiropractic, we use innovative chiropractic techniques and holistic healing methods to get patients to 100% health and 100% wellness. We are dedicated to helping residents of Aurora and East Denver get the personalized care needed in order to feel and live better. Corrective chiropractic care: Our treatments focus on restoring healthy spinal curvature, improving posture, and reducing pain through a variety of chiropractic therapies. Our chiropractors track and monitor changes to patient’s spines via x-ray to ensure treatment effectiveness. Pediatric treatment: Patients of all ages can benefit from chiropractic care – even children and newborns. Our staff is trained to treat even the youngest of patients with gentle and restorative chiropractic techniques. Massage therapy: Massages have the power to heal – they can treat not only physical ailments but mental ones, as well. Massages relax muscle tissue, helping to heal damaged tissue and reduce swelling. However, they also have the ability to provide mental clarity and relaxation to the customer – benefits that can be enjoyed regardless of health or injury. Our chiropractors always give patients 100% – not only do we seek to treat your symptoms, but also to find the source of your pain so you can be healed 100%. Our highly trained staff are experienced in treating a wide variety of issues, whether it’s chronic pain, prenatal pain or otherwise. We treat all ages of patients, from the youngest to the oldest to ensure that patients receive long-term relief. 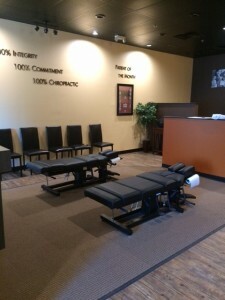 In fact, our mission is to help as many people as possible by correcting vertebral subluxation. We intend to help our Aurora and East Denver patients get to optimal health and wellness through chiropractic therapy and skilled care. By correcting nervous system issues, we allow patients to reach their 100% human potential. 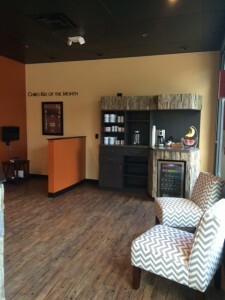 Not only do we provide treatment, but we are also focused on educating patients in order to help them take charge of their health and lifestyle. Please explore our website, call, or visit our Aurora chiropractic team to learn more about how we can get you to 100% health today! Hi, my name is MaryAnn! I just recently moved to Colorado from the sunny state of Florida to be with my fiancé. I was studying Marine Biology at the University of South Florida when I changed course to working at 100%. I LOVE my job with Dr. Yahdi at 100%! We see miracles everyday as patients take Chiropractic care and begin the journey to having a full life. I know it helps lives because it has helped me and my family. My mom now works at a Chiropractic office as a Massage therapist and even my fiancé gets adjusted weekly! Which helps him a ton since he works in Construction and now no longer sleeps with back pain. Chiropractic has changed my life. I no longer have headaches and has seen an increase in my flexibility! As well I just found out I was pregnant and the adjustments help to not have morning sickness and not be as achy as I use to be! I now know how much Chiropractic can help everyone at every age live life to their fullest! Can’t wait to see you here and living life at your 100%!